Always ensure you are working in the shade and not in direct sunlight. 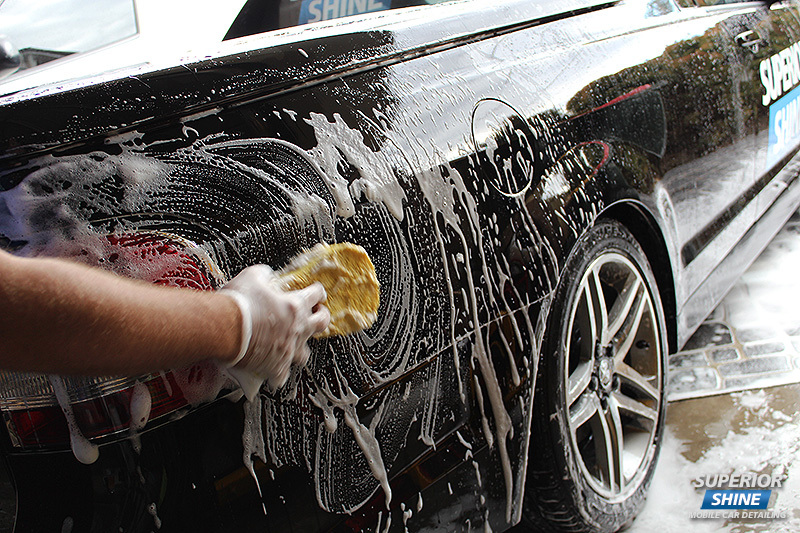 It is always best to start with the cleanest panels first and the dirtiest last, which usually means washing top to bottom. 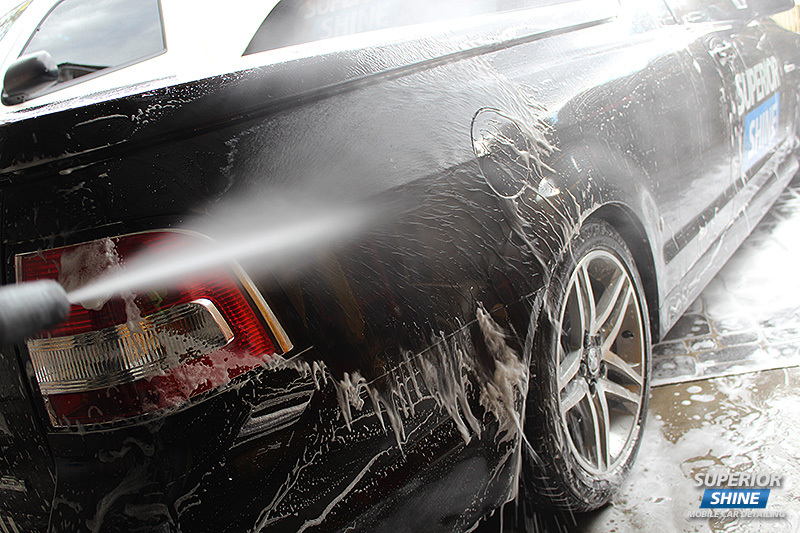 There is no need to "scrub" the paint work as the dirt and grime is only sitting on the surface, a light pass with a microfibre wash mitt or sponge is all that's needed, the less wiping you do on the paint work the better. 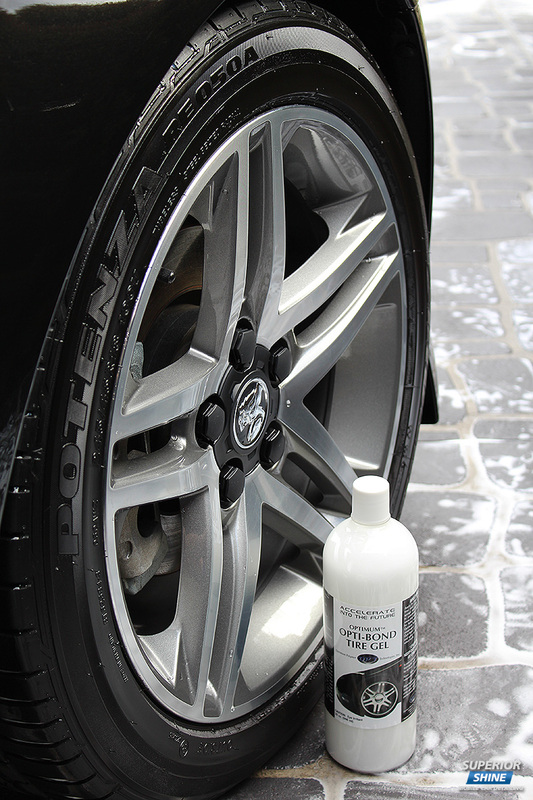 Tyre Shine can really add the final touch to your perfectly clean car, and also maintain the condition of the rubber. 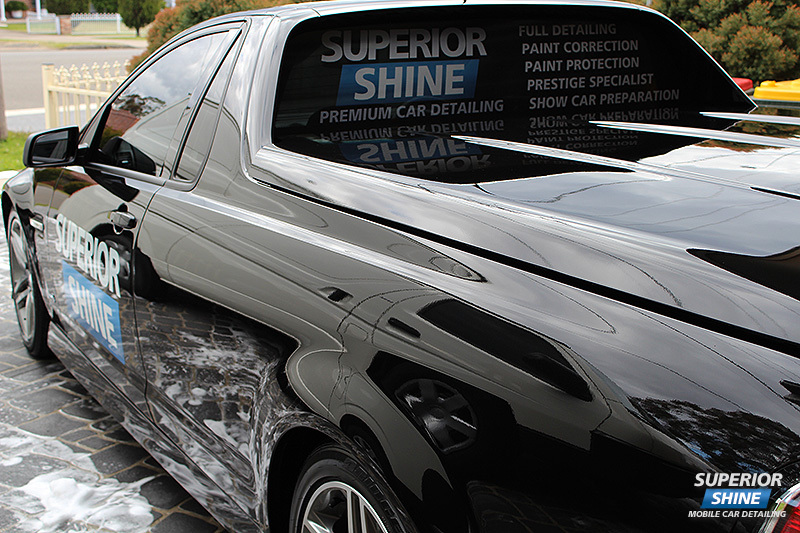 The type of product use comes down to personal preference - Gloss or Matte. 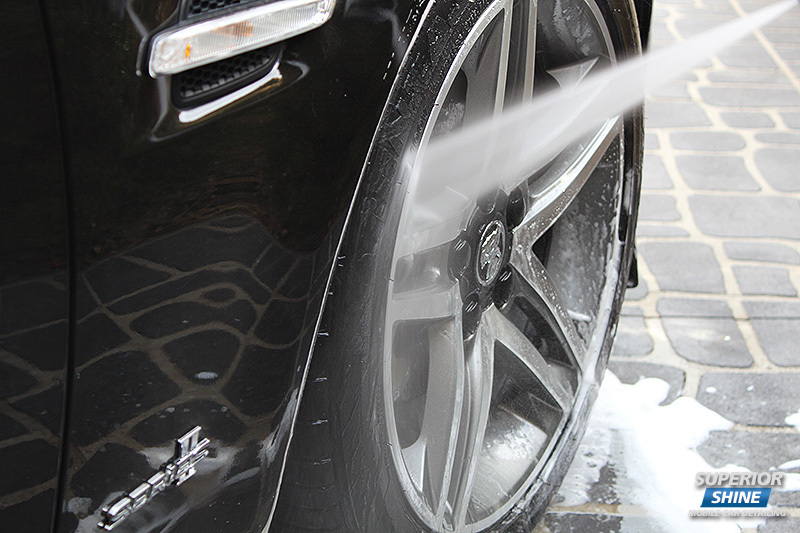 Most high gloss tyre shines will be silicon based whilst the matte finish tyre shines are water based. 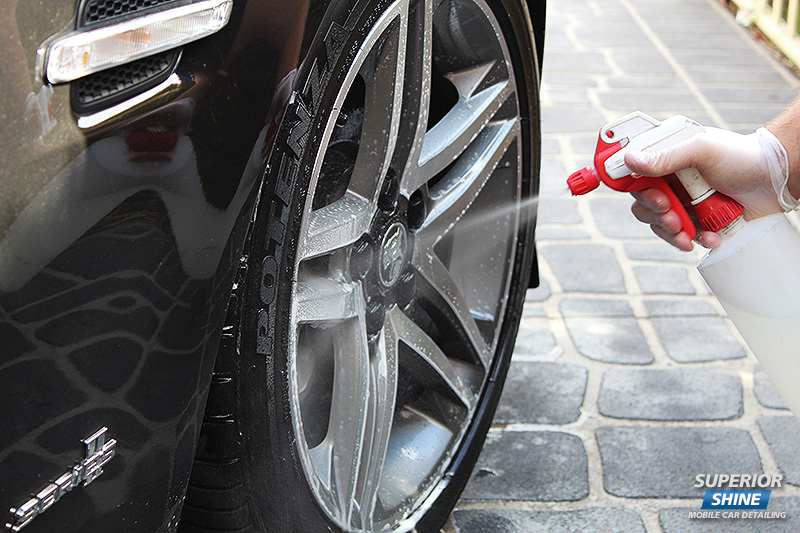 It is important to not apply too much product as this will cause slinging of the product down the side of the car, it is also best to remove any built up tyre shine from the grooves of the tyre. Thanks mate, everyone has different techniques but it puts the newbies in the right direction. Awesome techniques mate, great write up. This should be sticky for sure! A very useful write-up Scott. Thanks very much. One question: "3. 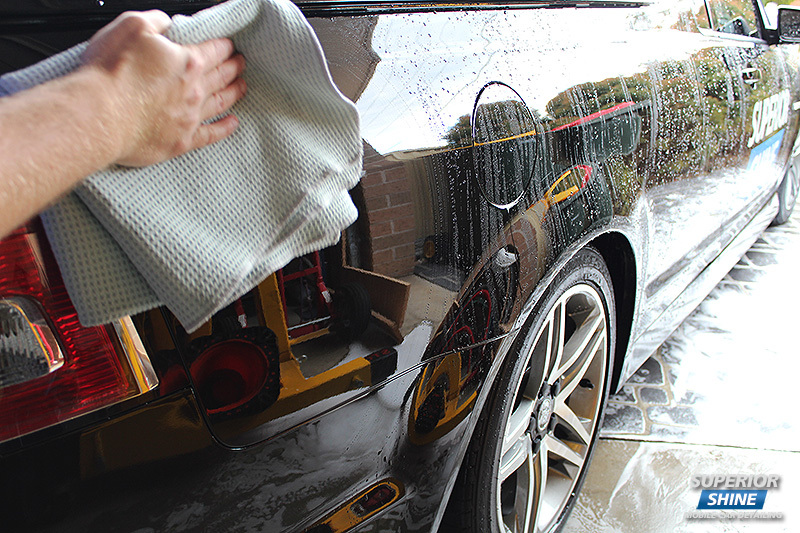 Firstly load the wash mitt or sponge up with soapy water washing one panel at a time, after each panel rinse the wash mitt or sponge in the clean water to remove any dirt and grime before repeating the process for each panel." Each time you clean a panel you rinse the mitt/sponge in the clean water. 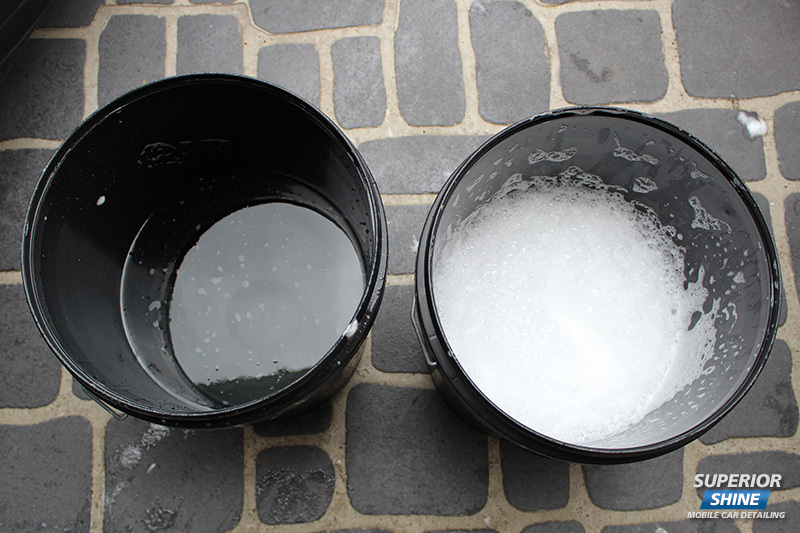 Do you then replace the bucket of now sudsy water with clean water with each panel you finish? No you you can use the same bucket of rinse water unless of course its getting extremely dirty, any large dirt particles will usually sink to the bottom anyway, which is why a product like "Grit Guard" is also useful. If your using a wash mitt its also good to fill the mitt with water so therefore any dirt and grime is getting flushed out of the fibres. 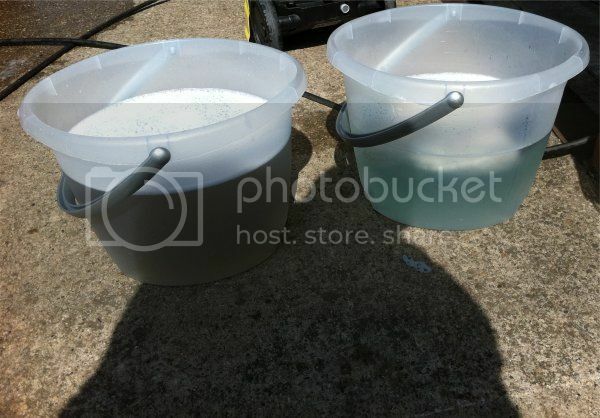 By the end your rinse bucket will look similar to this depending on how dirty your car was: http://i468.photobucket.com/albums/r...5/Image1-4.jpg (You can see after its been rinsed there is no dirt getting in the wash/shampoo bucket and being put back on to the paint). Finally! 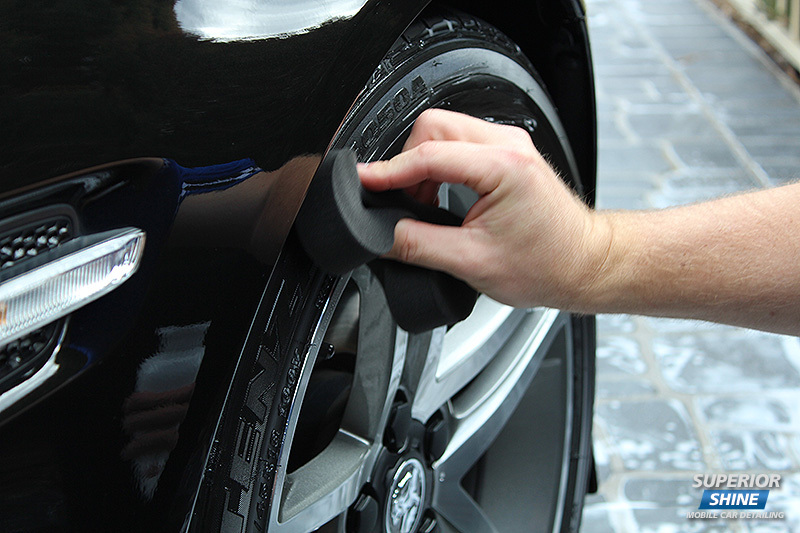 Thanks man that's a great start for me and my ride is a Grit Guard essential? I wouldn't not wash the car cos I didn't have the grit guard yet but it really is a great bit of kit , for two reasons firstly it creates a space at the bottom of the rinse bucket where the crap settles and the water doesn't get stirred up ... it also is good to agitate the mitt against to release the crap ....$20 for a bit of plastic stings a bit but it really is a good idea and should last a lot longer than most of the stuff you have in your Kit......get on it ! Relax......... I'm from the internet! Top write up Scott. 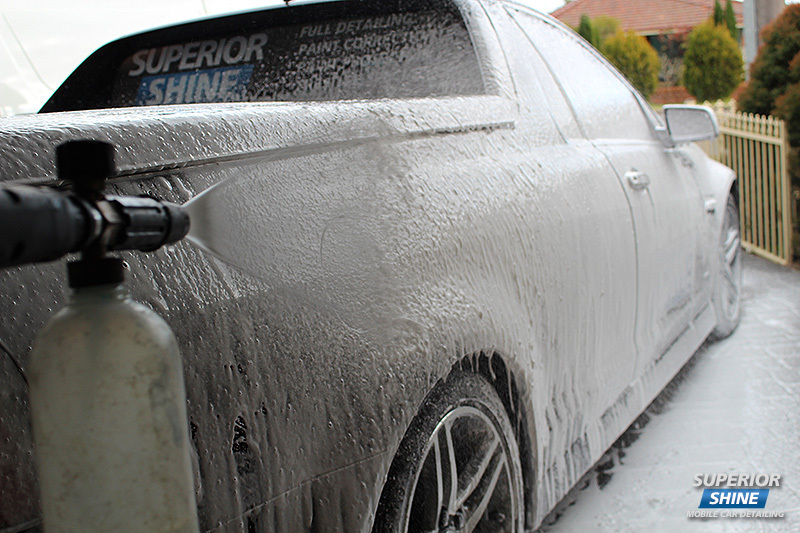 Clients look at me intrigued when I go in depth about safely washing and drying their cars.. Whats common sense to us almost seems like science to them lol.. 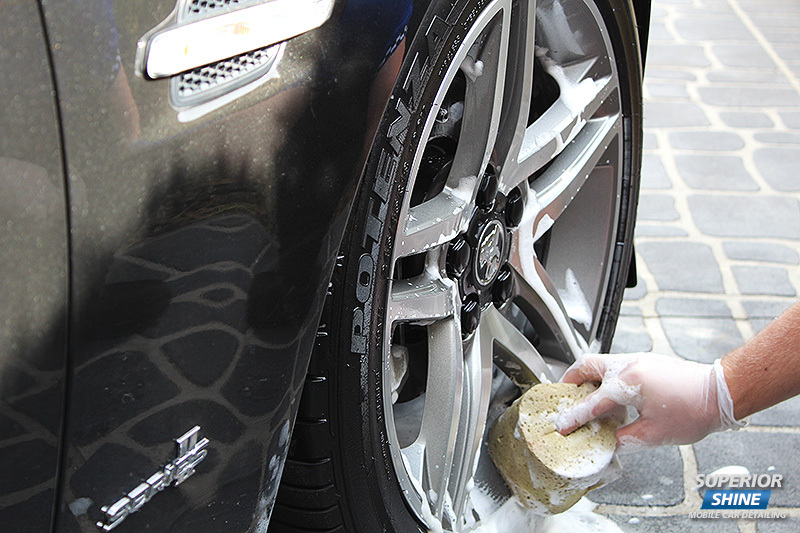 I cringe when i see people go straight from washing their wheels to washing the paintwork with the same sponge. 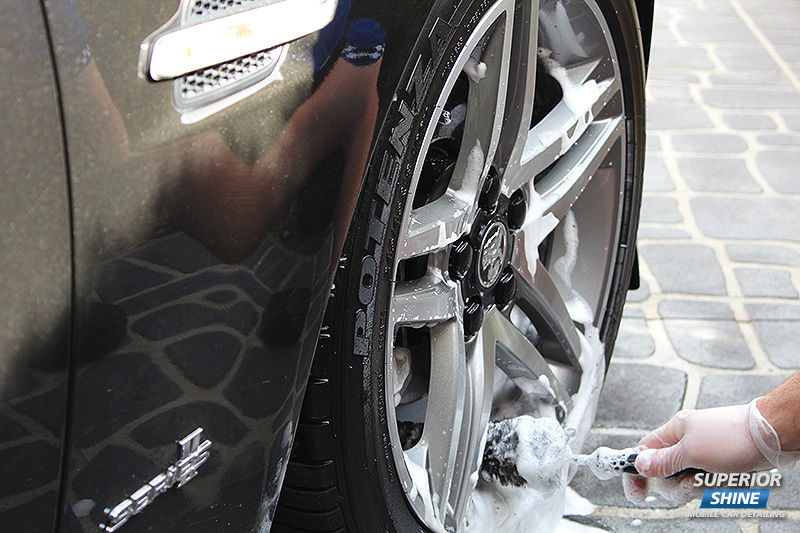 how do you wash the roof? Nice tips in there fella ! Real nice ride also . Couldn't agree more with what you have listed on the opening post. All times are GMT10. This page was generated at 09:32 AM.